This work analyses fairness dimensions of the climate regime. A central issue in international law and policy is how countries of the world should allocate the burden of addressing global climate change. With the link between human activities and climate change clearly established, and the first impacts of climate change being felt, there is a renewed sense of urgency in addressing the problem. On the basis of an overview of science and the development of the climate regime, this book seeks to identify the elements of a working consensus on fairness principles that could be used to solve the seemingly intractable problem of assigning responsibility for combating climate change. 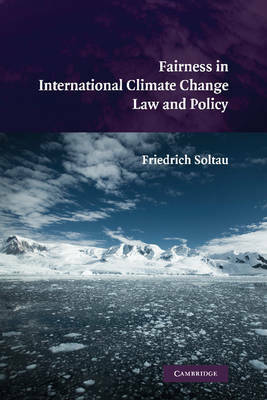 The book demonstrates how an analysis of fairness dimensions of climate change - grounded in practical developments and illustrated with reference to the key issues - can add value to our understanding of the options for international climate law and policy.